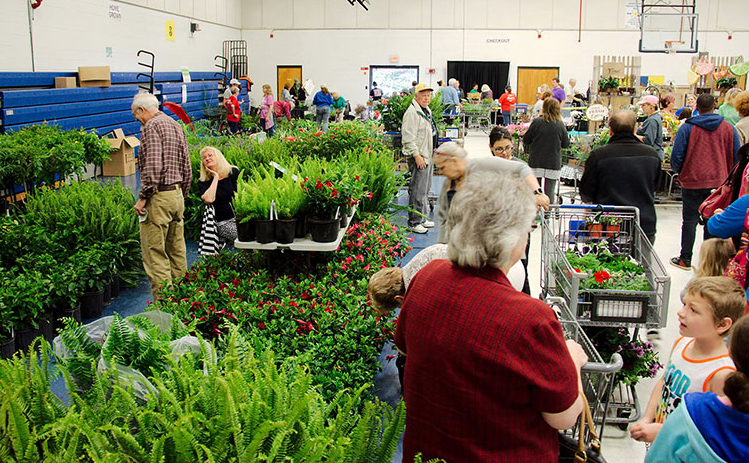 After torrential rain threatened to put a stop to the annual plant sale last year, the amazing partners at Fayette County Public Schools came to the rescue, allowing Fayette Cares to hold the sale indoors at Oakland Elementary School (OES). The 25th annual Fayette Cares plant sale at First Citizens National Bank in Oakland is the perfect place to get inspired, receive gardening advice and pick up gorgeous plants for your yard or home. This year’s sale takes place on Saturday, April 8, from 8:30 am to 2:30 pm. Garden lovers will find all types of plants including vegetables, herbs, ornamentals and more plus popular favorites that have made this event an annual rite for Mid-South gardeners for 25 years. Tremendous community support from shoppers, growers, and volunteers made the 24th Annual Fayette Cares Plant Sale in Oakland, TN a blooming success. Caring, generous, and talented Fayette Cares volunteers organized the event, which grows year after year. This year the first day of Spring ended with freezing temperatures. Precisely why Fayette Cares strategically schedules their annual plant sale after the typical frost-free date, making it the optimal time to purchase vegetables, herbs and flowers for our region.